We are professionals. We have organised a large number of great celebrations and we know about wedding in Cyprus almost everething. We have more than 7 years experience in wedding market in Cyprus. Even if your ceremony is small, we will do everething for to do it not like others. Your wedding will be unique, created especially for you. 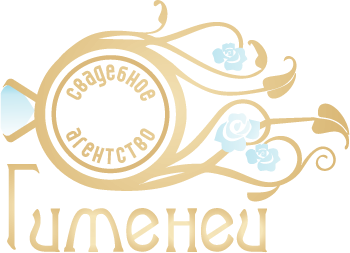 Special holiday - is our specialisation. 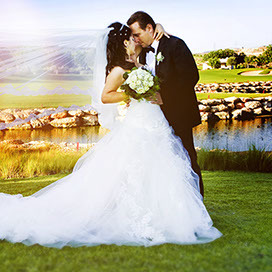 We are working with the best suppliers and wedding services providers in Cyprus. Best florists,gourmet restaurants, beautiful grounds and beach will be at your disposal. 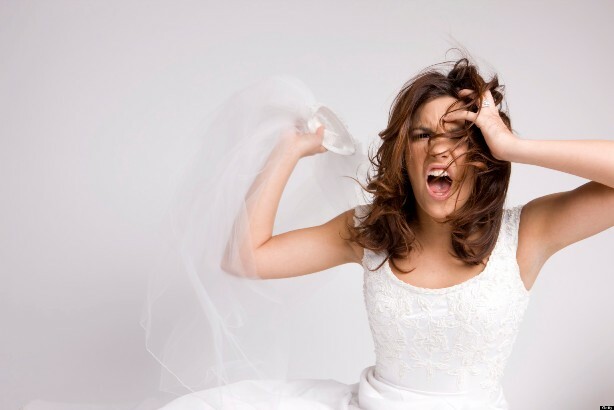 Wedding at the altar of Hymen - get married in Cyprus. There was a time when gods spoke. Nymphs and Graces were welcoming Aphrodite born from the sea foam. Olympian gods admitted their love for her. But Aphrodite has chosen mortal Adonis, preferring him to even Zeus himself. There was a time when statues came to life. The king of Cyprus - Pygmalion - carved the ivory statue of an incredibly beautiful girl. Freed by his dreams, she left the golden cage of fantasy and entered the real world under the name of Galatea. There was a time of miracles. Dreams and thoughts are material - that's what the ancient Greeks believed. And that's what lovers believe today! Dreams of a beautiful future - just like the sea waves - are clinging to their feet, and the goddess of love is ready to rise once again from those waves for happiness and joy. Time when your dreams come true - wedding in Cyprus. 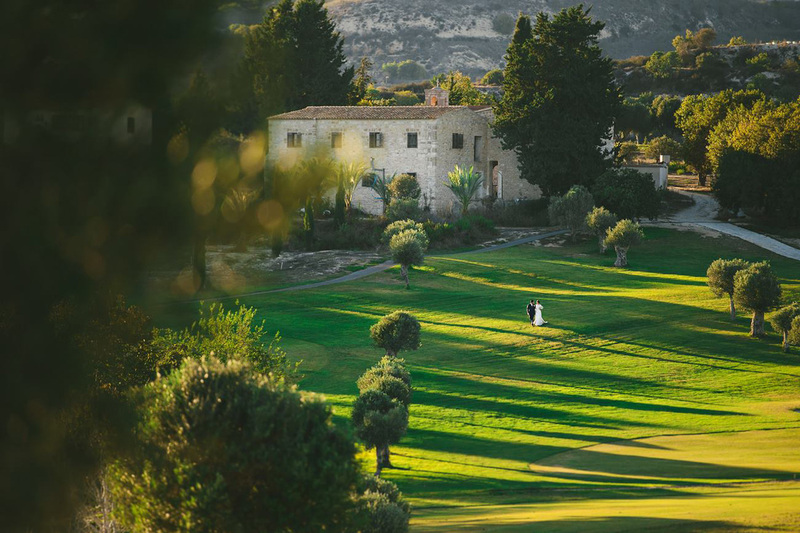 Follow Hymenaios's board Your wedding in Cyprus on Pinterest. 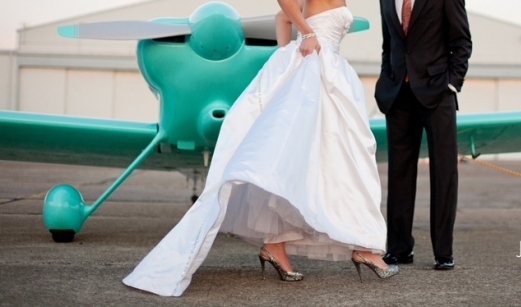 Planning a wedding is a major undertaking. It's like the Super Bowl of events — a multi-day schedule, a dozen vendors, hundreds of guests. But most first-time brides are playing at the peewee level when it comes to planning of the event. Here are the major mistakes you don't want to make you're wedding planning — and how to sidestep each one. Topical weddings are the trend that has steadily come into the wedding industry, and each year it is becoming more popular ever. 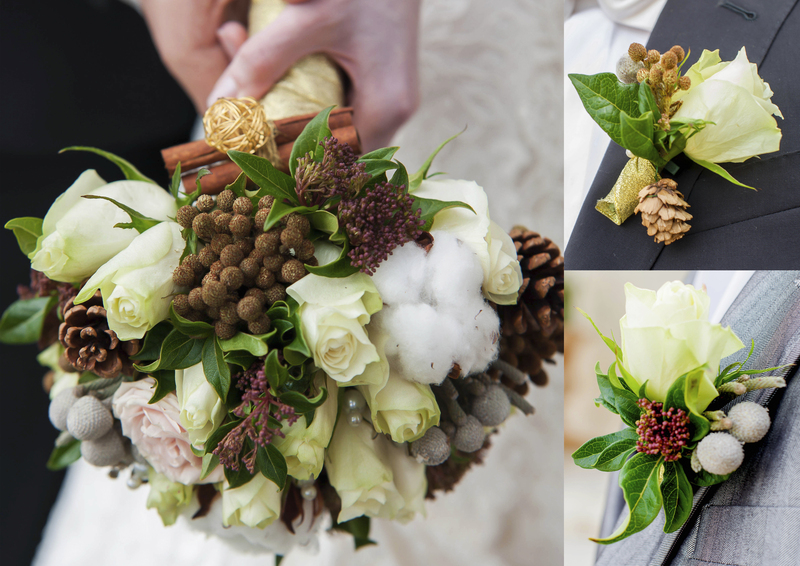 We associate the New Year with celebrations only, but not with a wedding. It is a shame! The New Year topic shall be the treasure for those pairs wishing to make their ceremony the most joyful and unforgettable. 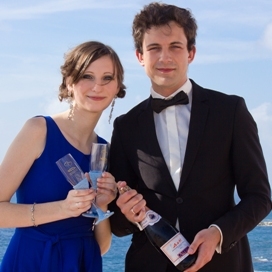 Dear Alexandra, once again we would like to thank you for organizing our wedding. Plenty of good memories, vivid till now, and we keep recalling you with gratitude. Everything was top-level immaculately organised! We would like to wish you prosperity and fulfilment of all your plans. Mrs. Alexandra and Mrs. Victoria! Today there has been the magnificent day! THANK YOU for such a fairy tale and unspeakable sweet atmosphere of our day! If one could only describe all emotions, they would surely blow your mind:))! THANK YOU! With all our hearts we express gratitude to you! You presented us the fantastically luxurious and colorful celebration!!! We are just lack of words to describe all our feelings!!! Thanks to you our wedding in Cyprus was remarkable! You took into account all our dreams and wishes and brought every little detail to life! Apart from this, we want to give special thanks to the photographer Mrs. Ksenia and videographer Mr. Georgiy!!! Many thanks to you!!! You captured one of the best moments in our lifetime!!!!!! It was so funny easy and pleasant working with you! We want to thank our fabulous master of ceremonies Mrs. Victoria so much for this!!! Many thanks to you once more, for every moment of our beautiful wedding! You make your job with all your heart and feeling! Thank you for support, advice and care about us!!)) Good luck to you! Be prosperous! Keep on making people happy and giving positive emotions on such an important day of their lives! I am endlessly thankful to you for the ceremony. We are excited and will remember it for the rest of our lives. During 2 months we were blowing Mrs. Alexandra’s mind, all through nights and days about the bouquets and the color of the chairs and some other ridiculous things. On her part I would refuse to deal with us)))). Instead, there was shown professional work, everything was for the client, she satisfied all our wishes and was honest. It is clear that the organizers like their job. All that you make is the real fairy tale. Thank you once again and I wish you great success as you are the leaders. With all our hearts we want to thank Mrs. Alexandra and the “Hymenaios” agency! 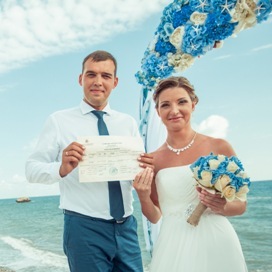 Official registration of our marriage took part at the place of Aphrodite’s birth on 5 September 2014. Everything was on a higher level. Despite the force major circumstances – our guests were late for nearly an hour!!! After the beginning of the official ceremony everything was ideal. Mrs. Alexandra and Mrs. Victoria managed to agree with the municipal government being completely calm and showing moral support to us! Many thanks to you once again for your job, we wish you good luck and prosperity! Many thanks!!! It was like a fairy tale! The happiest day in my life, our lives!! Your team brings luck, and the family whose wedding you have prepared would be happy for sure! Personally tested)! Thank you and your team!!! Our family is one year old soon and we remind of you with such kind regards!! Everything was so exact!! What a restaurant you found for us!! To be honest, we hoped that everything we have seen on a picture would be at least 50 percent true) However, all that you made was beyond our expectations!! Exact, honest!!! Our friends regret us when we were planning the wedding via skype)) and afterwards they were delighted))))) we watch the wedding video once a week and it makes us cry of happiness!!! Good luck to you!!! It is a hundred percent your business!!! We do hope to come for an anniversary)) Our little family was born in Cyprus) Hats off to you, guys!!!! Dear Alexandra! Thank you so much for everything: our wedding organization, your professionalism, choice of excellent assistants thanks to who I had a cute bouquet, impressive photos and beautiful video clip, for prompt replies during the preparation, for support on the wedding day, for excellent mood, for fabulous decoration of the ceremony place, for solving all the issues! Thanks to your assistance we had no problem during the preparation and on the wedding day as well. You are the first class professional, very diligent, organized, resolve the arisen issues quickly, coordinate, everything is exact with no nerves and troubles. Apart from the business, I can’t but note the personal qualities). It is very interesting to talk to you, you always supported and encouraged, took care of us. It is very pleasant that you are interested in the heartsease of newly married couples.